George Probst is used to being called crazy. The web designer from Blacksburg, VA, USA, shocks most people when he tells them that he swims with sharks. But after many thrilling dives and hundreds of up-close and personal photographs, he hopes others will see these mysterious underwater giants in a whole new light. After George’s girlfriend broke up with him in 2006, he decided to take the money he had saved for an engagement ring and go on an adventure. On his bucket list? Dive with Great White Sharks. 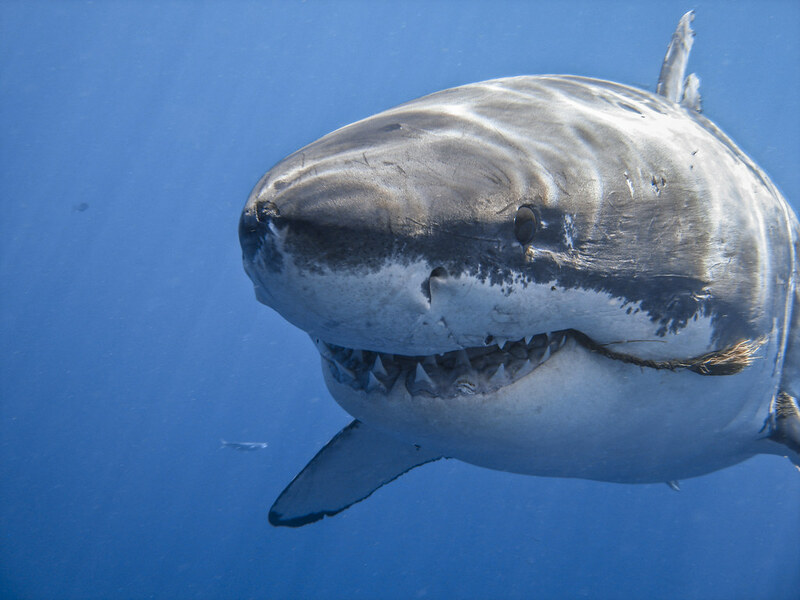 George’s research took him to Isla Guadalupe, an island located off the coast of Baja California known for its Great White Shark sightings. He bought a point-and-shoot camera with waterproof housing, convinced his brother to join him on the trip, and set out to document a trip of a lifetime. 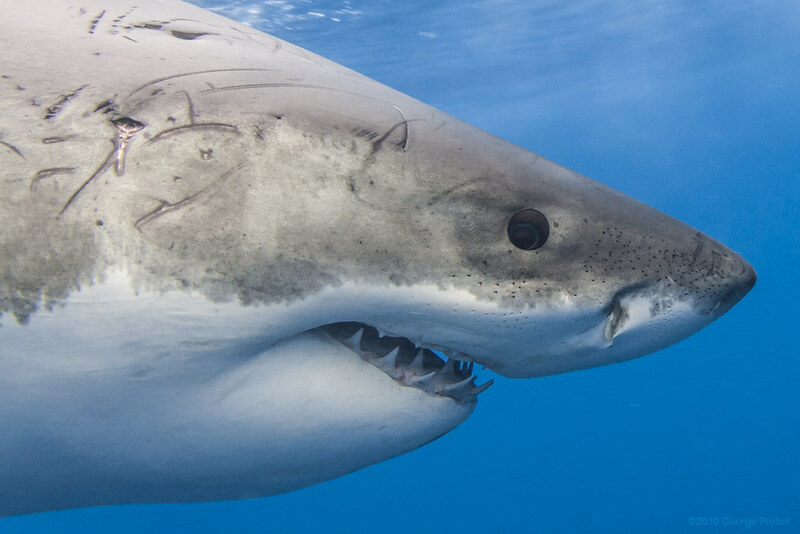 When George prepared to embark on his first dive, he had the same “Jaws mentality” that he says many people share — an idea of a Great White Shark that wreaks havoc and attacks unknowing swimmers. When he got into the water for the first time and found himself face-to-face with a Great White Shark, his perception changed. After his first dive, George was hooked. He upgraded to a DSLR and began planning more dives. He still feels the rush of that first experience every time he gets in the water. “There’s a sense of grace that you really pick up on when you’re down there,” he says. 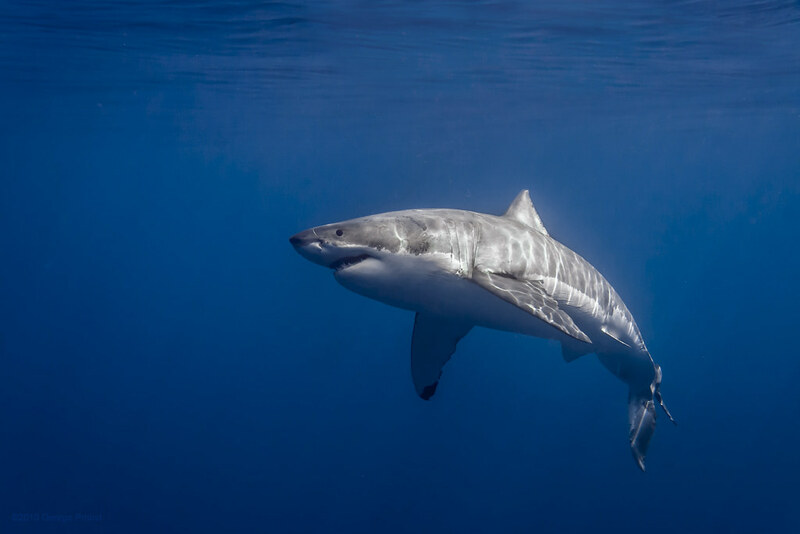 Through his photos, George hopes to present sharks as animals that have a vital role in the marine ecosystem and to educate others about the importance of conservation. Visit George’s photostream to see more of his photography. It’s the weekend and we feature another inspiring selection of noteworthy photos we discovered throughout the week. Enjoy!